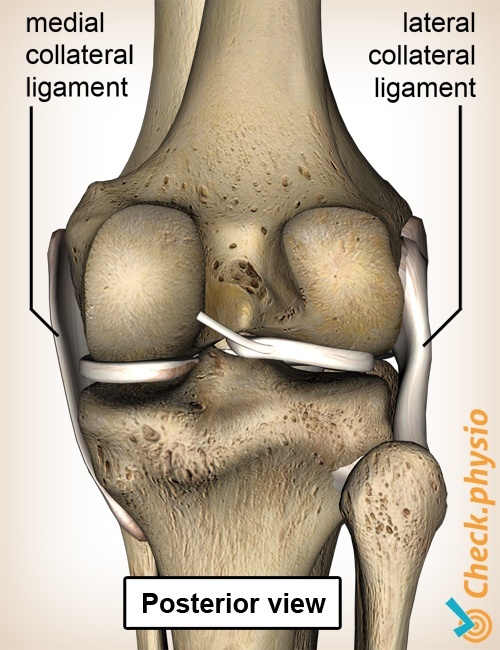 The lateral knee ligament is located on the outside of the knee. It connects the side of the thigh bone (femur) to the side of the calf bone (fibula). The injury usually occurs as a result of a large external force on the knee. The collateral knee ligaments are often confused with the cruciate ligaments. The cruciate ligaments are located in the centre of the knee. There are knee ligaments located on the inside and the outside of the knee. The most important function of the lateral knee ligament is to prevent an extreme varus position of the knee joint. This means that the lateral knee ligament prevents the knee joint from adopting an exaggerated O (bowed) position. If the knee ligament is stretched too far, it can tear partially or completely. Injury of the lateral knee ligament is common in sports such as football, rugby and martial arts. For example, as a result of a block tackle. The knee is hit on the inside, causing the lateral knee ligament - located on the other side of the knee - to be stretched due to excessive force. This can cause tearing/rupture. The symptoms can also occur during a fall. The way in which a person falls determines whether the knee ligament is stretched or not and whether damage occurs. The pain is located on the outside of the knee at the level of the lateral knee ligament. The knee ligament is sensitive to touch. The pain can also be provoked by stretching the ligament. The knee feels unstable and this can be accompanied by swelling. The mechanism of development and location of the symptoms provide a good first impression of the injury. During the examination, the ligament can be stretched to confirm any injury. The ligament is rarely the only structure affected. The anterior and the posterior cruciate ligaments can also be damaged and should be checked during the examination. 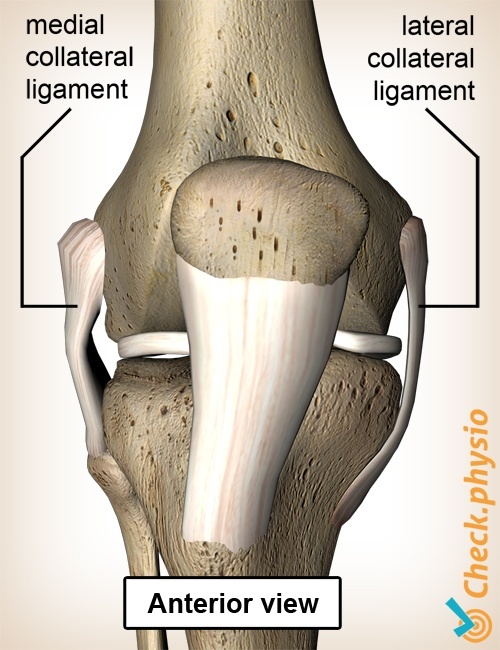 The lateral knee ligament does not heal as well as the medial knee ligament.Rest and physiotherapy can provide relief if the ligament is not severely ruptured. Surgery may be required if the lateral knee ligament is ruptured completely.